"Ratale" is a marathi name for sweet potato. This ingredient is best known for its use on fasting/ Vrat days in Maharashtrian house. 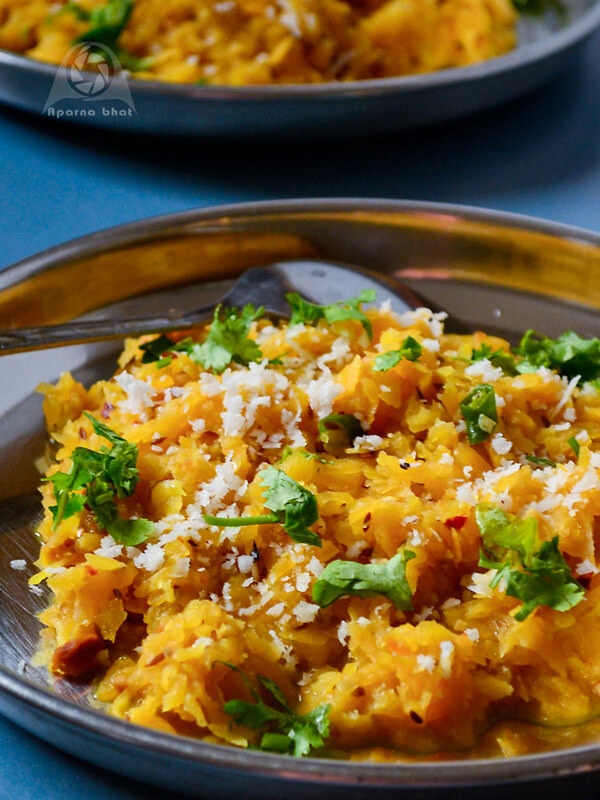 "Kees" means grated or shredded and the dish prepared from this grated sweet potato [sometimes prepared from potatoes too] by Maharashtrians is a simple stir fry served as fasting food with Sabudana Khichadi. 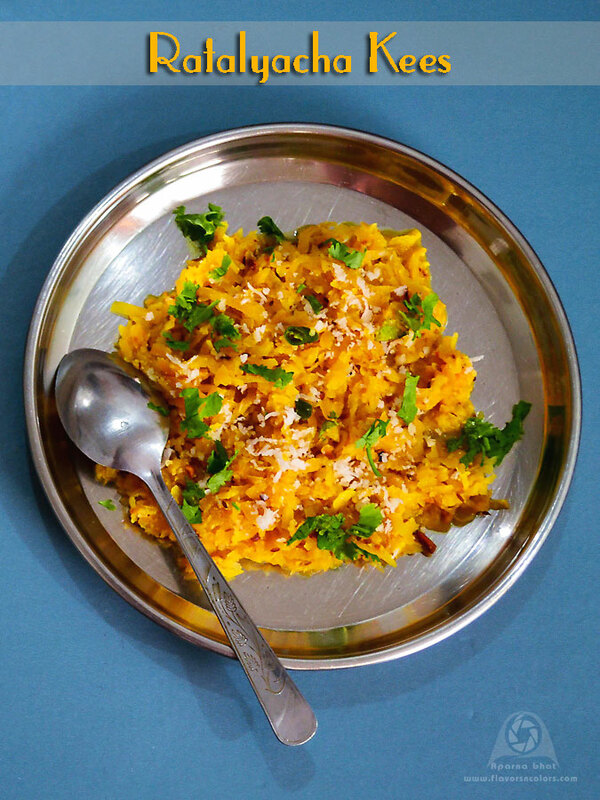 This can also be served as breakfast dish on other non-fasting days. Wash and clean the sweet potato in running water. Peel the skin and grate it. I used coarse holes on the box grater to grate them. Keep them aside soaked in water. Heat ghee in pan and add cumin seeds. As cumin seeds crackle, add green chilies and saute it. Next drain the water from sweet potato and add it to the pan. Stir fry for a minute. Add coarsely powdered roasted peanuts, salt, sugar to taste and mix it nicely. Cover the pan and cook it until done [ take care not to make it mushy as sweet potato gets cooked fast]. Switch off the flame and add lemon juice. Garnish it with coriander leaves and grated coconut just before serving. Note: I haven't added turmeric in the above dish,,, it's the color of sweet potato after being cooked. Love the color of the sweet potato. !